For a little while, I have been posting advice of the day on First Pull’s Facebook. The tips touch pretty much all aspect of weightlifting : coaching, injury, programming, psychology and technique. The thing about Facebook is that it is not easy to search or browse for something specific. The following tips have been posted within the last two months on Facebook and I have decided to list them on here so that they can be accessed or refereed to easily. So far, I am up to 23 advice, and these were the first 7. I will be compiling these tips on here on a weekly basis. Don’t miss out on Updates : Make sure you follow First Pull on Facebook and Instagram for daily pictures and advice. Do what works for you. Don’t do what looks cool and don’t do what others are doing just because. The neighbor’s grass always look greener. Do what works for you. Your coach should be able to teach you how to lift in positions that are putting you at mechanical advantages and that’s how you will PR. These positions are specific to your own body and levers. 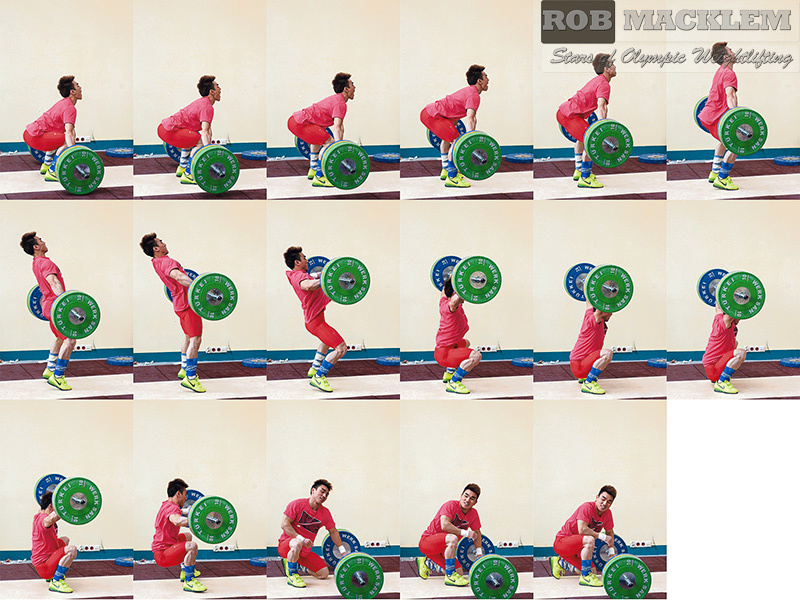 Just because Dimas liked to push jerk and look sideways does not mean you should do it. 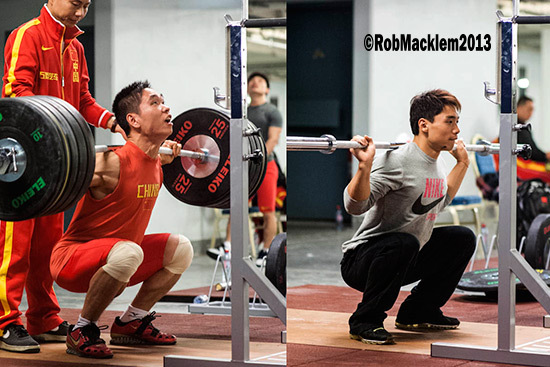 Just because many Chinese lifters squat jerks does not mean you should squat jerk. In all fairness, your technique will never be ”textbook technique” but it will follow core principles if it’s successful. Technique has to be individualized and looking at any competitions, you will notice differences in the lifts. A good example of this is Ian Wilson. He uses such a wide grip for his jerk but that works for him. Most people will do much better with a much narrower grip, but for him it’s a good grip where he feels strong and stable. Fear of the unknown is nothing but paralysis in weightlifting. It is doubts that prevent you from hitting PRs. Here is the reality fact : In most cases, the preparation is going well, the strength numbers are there and the technical development has been productive, yet PRs are missed because people could not wrap their mind around it. Behaviors of lifters can demonstrate this : You will see a lot of beginners just do a pull before snatching/cleaning the bar, just to ”feel how it feels”. That’s a bad habit and should be prevented by the coach. You will also see many lifters stress and overthink at the bar, resulting in tensed arms and or yanking on the bar. The outcome being everything but ”regular” technique. My advice is this : Whatever it is you do, run the lift in your mind before touching the bar. The moment you touch the bar, you should have a clear mind and have already committed to making the lift. There should be no uncertainty. I stress this : Don’t touch the bar if you are not committed to making it. This process should take less than 30 seconds by the way. In competition, you have a minute to make your lift. Sometimes less is more and rarely is more better. There is only one Pill that will turn you into a great technician and it is called ”smart training”. Most of us are in their 20’s-30’s (and there are of course masters lifters following this page as well). Most of us started this sport late rather than young. Most of us have had injuries in other sports, and some of us are still coping with it. The physical and psychological demand of weightlifting are very high. You have to be mentally tough, but also develop/refine abilities like coordination, flexibility, rate of force development (the most under looked factor of all), and strength.These take time to develop. The right training consideration have to be taken. Proper technique learning does not happen under excessive over training and nor does it happen when you are injured. It also does not happen when you are maxing out every day and missing 10 lifts a session. We want quality over quantity. My advice : Make a reasonable plan and allow yourself to auto regulate the numbers you hit during training. Have a broad idea of what you should be hitting, but allow some +/-. Don’t hit 90% just because it’s on the sheet, but do it because you can on that day. No body will judge you for backing off, rest a bit, and come back stronger. P.S In the grand scheme of thing, those who learn to do this early in their career will be those that will last the longest or remain in shape the longest. Akkaev was known for this. If anything hurt, he would stop and rest. That way he could push through injuries and compete at the 2011 Worlds. A good starting position means you having the shoulders over the bar, the hips higher than the knees, arms loose but chest up, and a braced back. You should be looking ahead/a bit above the horizontal line so your neck will be extended. Doing so puts you in a good mechanical position to exert maximal power output. Many people could add 5kgs to their lifts just by fixing the starting position. They either have the shoulders way too in front of the bar, the hips too low (making them rise super fast and loosing all leg drive), or the bar too backward or forward. Speaking of placement of the bar, it should be over your foot but not over your ankle. Some people have it over their toes and roll it back in as they start, that’s okay too. Having the bar over the ankle result, more often than not, in having the bar move away from the lifter to pass the knees. Treat the cause, not just the symptoms. Keeping the bar close to the body is essential for success. No body has ever stepped on an international stage to win and not kept the bar close. That’s pretty much weightlifting 101. However, when looking at somebody lifting and the bar is being knocked forward everytime, it will be obvious that it’s due to the hip going forward and banging the bar away. If you stop the analysis here, all you have is symptoms and not causes. Was the bar knocked forward by the hips because the lifter focused on back extension too much and too quick, resulting in not finishing the pull and trying to go under too quick? Use of the back too quick in the sequence will bring the hips forward. Was the bar knocked forward by the hips because the bar looped around the knees and it had to come back towards the lifter, again resulting in the hip bang? Was the bar knocked forward due to mobility problems? Many people have a great pull, but very bad shoulder mobility preventing them from being internally rotated at the shoulder. This would result in having the bar loop around as well. Find the real cause to you missing lifts, and fix it. If you are not recovering well or feeling tired, it could be due to your diet or your sleep patterns. Today I will talk about food. Ever since the 60’s, diets of all sorts have been promoted, liked, hated, and forgotten. Unless you are cutting weight for a competition or to move down a class generally, a weightlifter should not live off salads and tuna only. There is a time for everything. I don’t go into specifics when it comes to diet, I just suggest you make sure you eat enough. If you look at construction workers or farmers, many of them will stop at a breakfast place in the morning and get the famous ”construction breakfast”. It has everything, eggs, meat, potatoes, bread, etc. They are starting the day with enough food to support them all day (doing physical tasks). Whether it’s healthy or not is another topic. I’m not saying you should do the same, but you should definitely consider eating big enough to promote recovery. Now, we don’t want fat gain as well, so that’s not a ticket to the buffet. Notice I said eat big enough and not overeat. My advice is to make sure you are eating a large variety of nutrient and caloric dense foods (unless you are cutting weight or unless you have a medical condition) at least during the most intense phases of training. Many countries host buffet in training camps to make sure the athletes are eating enough, hence getting proper recovery. 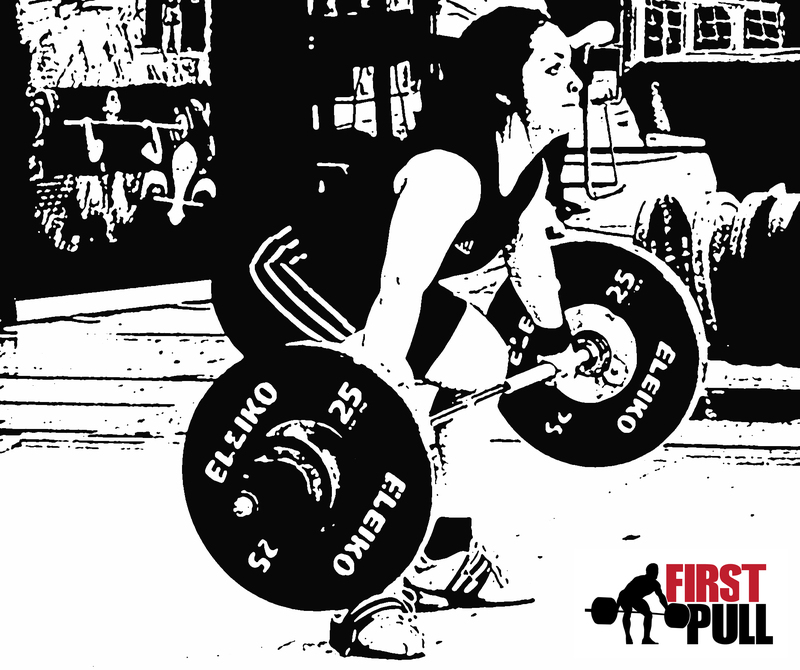 To make PRs or lift close to it, you have to believe in your ability as a weightlifter. Many talk in relative terms when it comes to weights to be lifted at a competition or pr day. They will say : “i can MAY BE hit this number” or “i hope i lift this much” or “i will try to do x much “. Start believing in your ability and accept the fact that you are prepared for the competition. More importantly, start talking in absolute terms. Ian Wilson went to the JR nationals to hit 170kg and to the pan ams jr to make 173 (which was close). Ian is just an example. Many elite athletes act the same way. If you look through my interviews on first pull, you will see that many of these athletes will say stuff like “I will hit whatever it is required of me to win”. Believe and achieve!